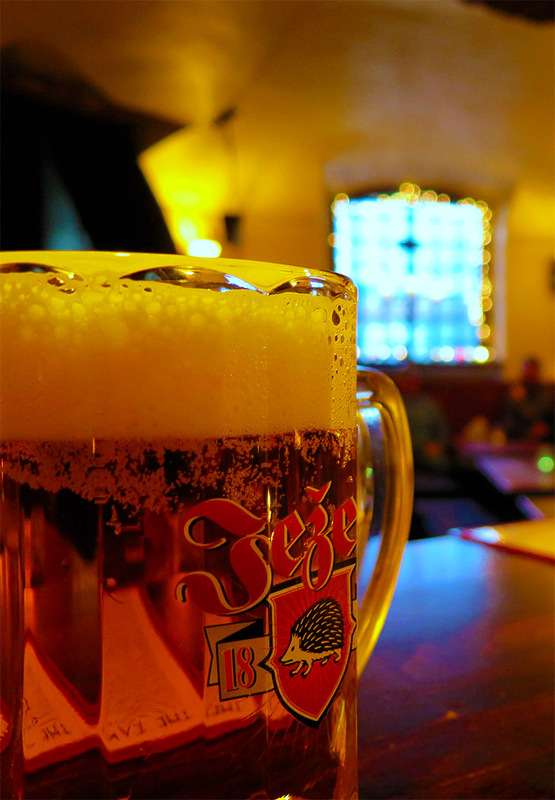 Prague's Biggest & Best American-Style Weekend Brunches are at The Tavern from 11am to 5pm! On BOTH Saturday and Sunday we serve our massive Tav Brunch Burgers--eggs, cheese, sausage and bacon--, Texas Chili-Cheddar Omelettes, and a large selection of specialty cocktails & drinks (including our house Bloody Mary, Fresh OJ-Grenadine Mimosa, Campari Spritz, and Pickle-Back Shots) as well as EVERYTHING else on our weekly menu, making for a hearty, unforgettable brunch. 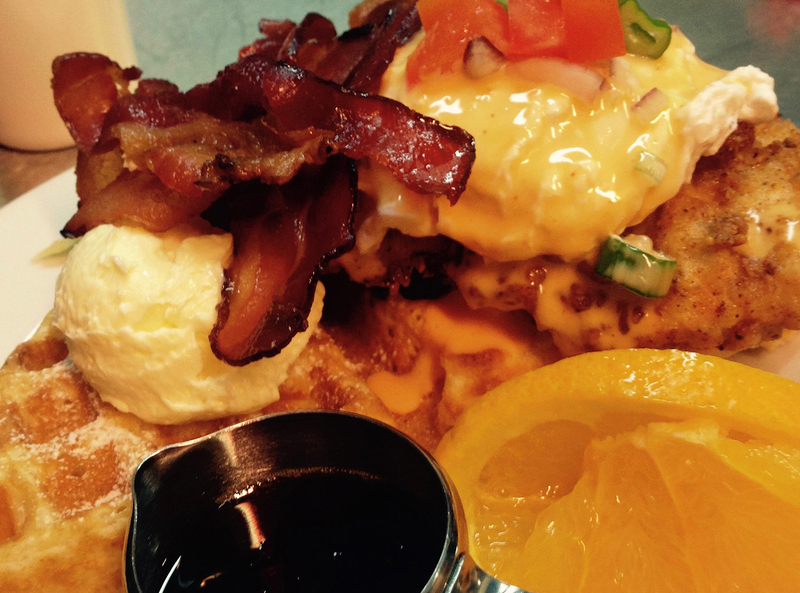 We welcome you to swing by The Tavern for weekend brunch, grab a seat, kick back and let the brunchy good times begin! SATURDAYS feature Southern-Style BISCUITS & GRAVY, including the super-star brunch hits Kentucky Eggs Benedict (creamy sausage gravy smothering fluffy, fresh-baked buttermilk biscuits with cheddar, eggs, and bacon) and the delectable Maple Butter Fried Chicken Biscuit (biscuit sandwich with buttermilk-brined Southern fried chicken drenched in maple-butter & topped w/ crispy bacon). 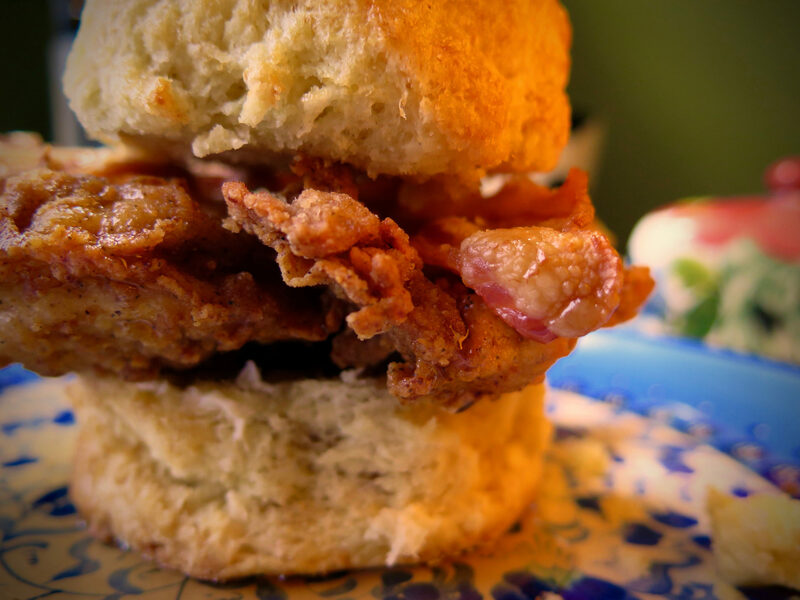 We also serve Southern Sliders--fresh-baked biscuit sandwiches with a fried egg, cheddar, and your choice of house-made sausage or crispy American bacon. And for those who need a little extra help after a big night out, our Žižkov Hangover Gravy & Cheese Fries will do the trick if our house Bloody Mary doesn't. SUNDAYS feature fresh-griddled GOLDEN WAFFLES, served with your choice of vanilla-bourbon maple syrup, blueberry & forest fruit syrup, or banana & candied pecan topping. 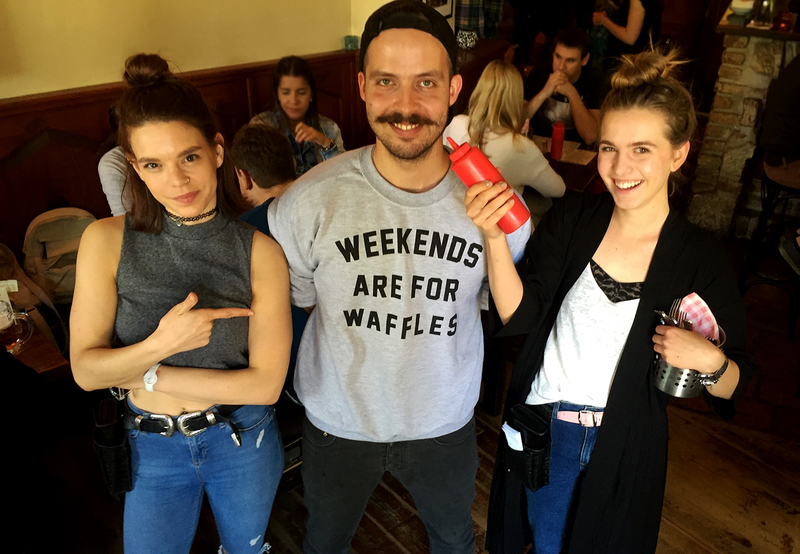 We also proudly serve the best of the American brunch cult-classics: CHICKEN n' WAFFLES (buttermilk-brined Southern fried chicken sitting on a freshly made golden waffle and served with vanilla-bourbon maple syrup and whipped butter).